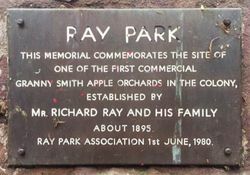 Ray Park commemorates the site of one of the first commercial apple orchards in the colony which were established about 1895 by Richard Ray and his family. 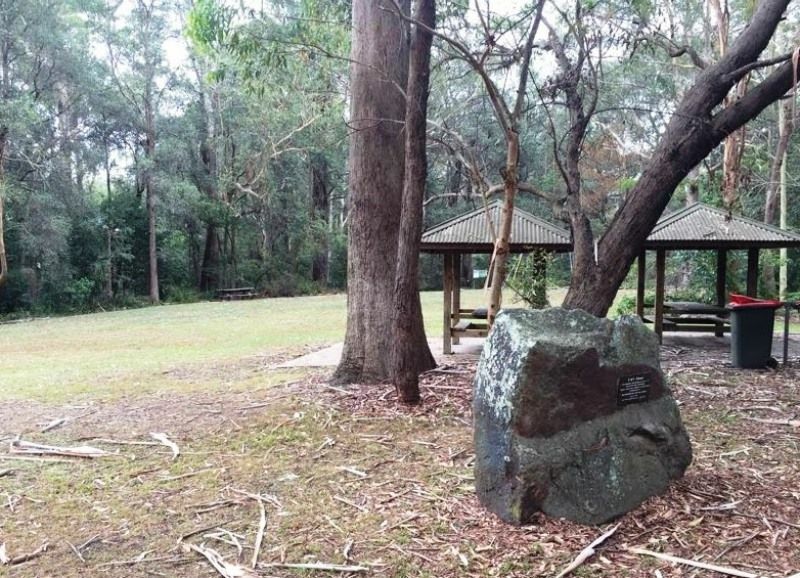 This memorial commemorates the site of one of the first commercial Granny Smith apple orchards in the colony. 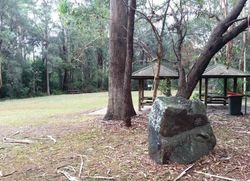 Ray Park Association 1st June, 1980.